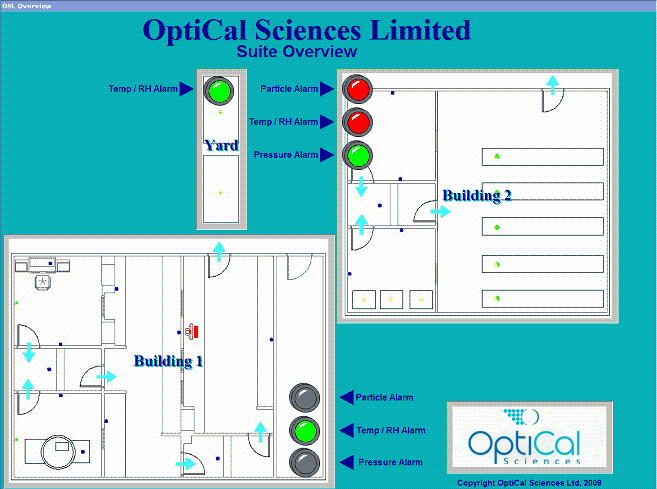 OptiCal Sciences Ltd is a Wonderware Systems Developer with a wealth of experience in both installation and expansion of our customers’ facility monitoring systems. Wonderware InTouch is an award winning Human Machine Interface (HMI) SCADA software, offering connectivity with any industry standard Ethernet, analogue and digital sensors, devices and many other systems. It complies with FDA 21 CFR part 11 requirements and follows current GAMP guidelines for automated monitoring systems. Particularly for medium and large organisations, a wide portfolio of Wonderware HMI applications may be used to realise significant cost savings due to the interoperability between the different software packages. As well as InTouch, Historian and Information Server, several other applications covering many different aspects of your business, such as process control, batch management, energy management and operational intelligence are available. Please click HERE for further details. Due to its architecture, Wonderware Intouch is highly scalable and can be designed to meet your current requirements, yet retains the flexibility to be extended, customized and scaled up dramatically according to your business’s needs. Wonderware InTouch also has a history of uninterrupted software version migration path; your HMI applications investment will be protected. Development work may be carried out either by us or by your own onsite Wonderware-trained development team, allowing you to take full control over your business’s IT infrastructure. Dependent upon your needs, you can choose either a Single-User System for smaller requirements, e.g. up to 50 monitored devices, where only one point of access for monitoring and control is adequate, or a Multi-User System for medium to large requirements, allowing remote access via a web browser to multiple users. We want to make sure that you will be completely satisfied with your monitoring solution so please don't hesitate to contact us with any questions you may have. We look forward to hearing from you!